With over 35 years combined experience in the world of catering, Taz and Mary have worked in all areas of hospitality. Both are trained as qualified chefs and have experienced working in fine dining restaurants and event catering companies such as Leith’s Restaurant, Sally Clarke’s, Gordon Ramsey, The Ivy, Le Caprice, Caprice Events, Hunt Kendall Catering, Rhubarb Food Design, to name but a few. We stride to provide imaginative catering of the highest possible standard using only the very best quality ingredients. We are equally adept at providing a service ranging from freshly-made sandwich platters, formal luncheons, dinners and marquee events. Being a small company, we are more flexible to meet your individual requirements. On sale now at the deli or visit our Christmas page. 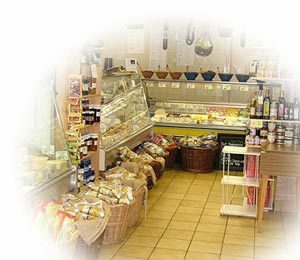 Campbell & Toft Deli has been established since 2005 after taking over a running business in Letchworth Garden City. We offer a very extensive selection of cheeses from all over the British Isles and the Continent; quality cooked meats including beef, hams and turkey; a wide variety of salamis and Continental meats. We also offer specialty teas and coffees, and have a large selection of preserves, chutneys and relishes. Campbell & Toft Ltd was formed in 2004 by Taz Campbell and Mary Toft to offer high-class catering to private and business clients. It is a “hands on” catering company run by the proprietors alongside their delicatessen based in Letchworth Garden City, Hertfordshire.